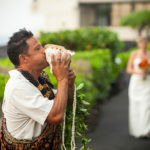 This vow renewal took place at the cliffs at the Kona Sheraton Resort. This location offers a unique location unlike any other, especially given its easy access. 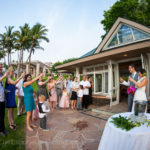 There are other cliff locations but this location is easy to get to and has the rest of the resort as an option for photos. 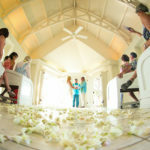 This couple incorporated leis and sand blending into their ceremony.